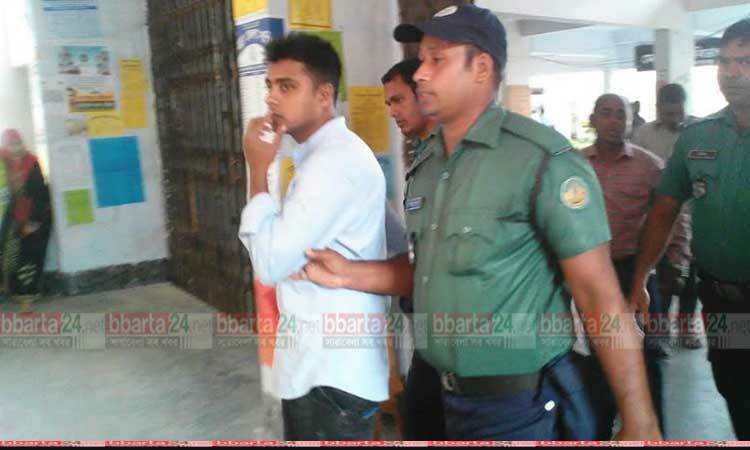 A youth has been fined Taka 30,000 for his alleged appearance in Rajshahi University (RU) admission test as a proxy candidate on Tuesday. Based on circumstantial evidences, Executive Magistrate Rony Khatun found him guilty for appearing in RU entry test taking illegal means and fined the money, in default, he will have to suffer one year behind the bar, a RU official said. The convicted youth was identified as Monsur Rahman, 28, of Monigram village under Bagha Upazila in Rajshahi district. He was the student of Department of History of RU under 2010-11 academic session. Sources said RU Proctor Prof Lutfor Rahman caught Monsur red-handed in room No. 425 in Syed Ismail Hossain Siraji Bhaban while he was taking part in admission test of B-2 group on behalf of main aspirant Al Amin.